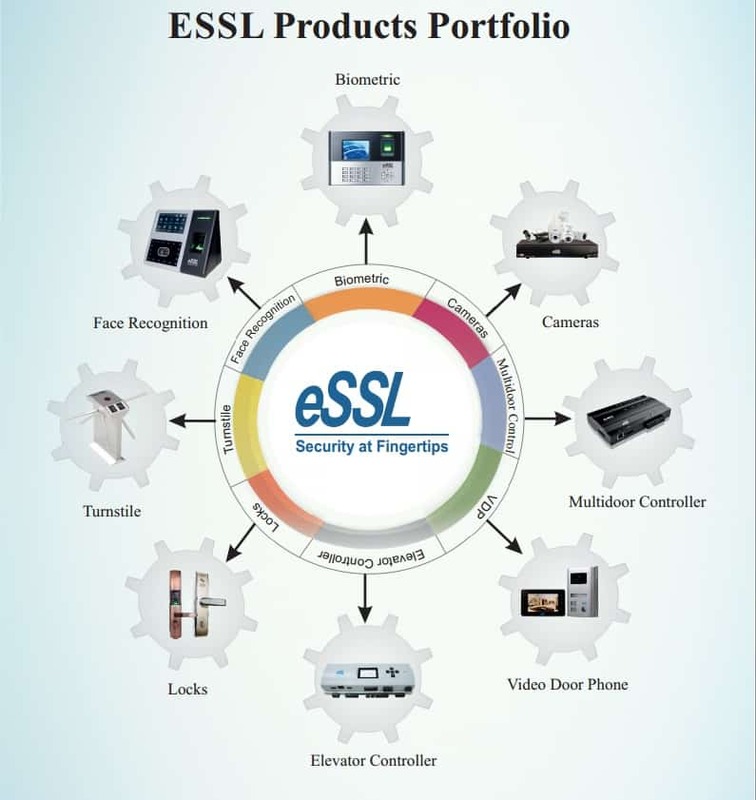 eSSL k30 is a major product of a company, which is typically why the company was founded and/or what made it well known. 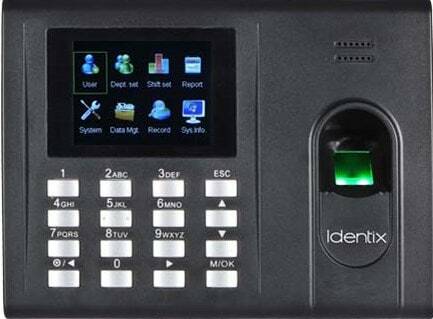 eSSL Identix K30 an attendance system is another new addition to the product line of Identix Security, which has an inbuilt battery backup. It can be put on the network using TCP/IP. Also, its USB feature makes data transfer method more convenient when there is a power cut. 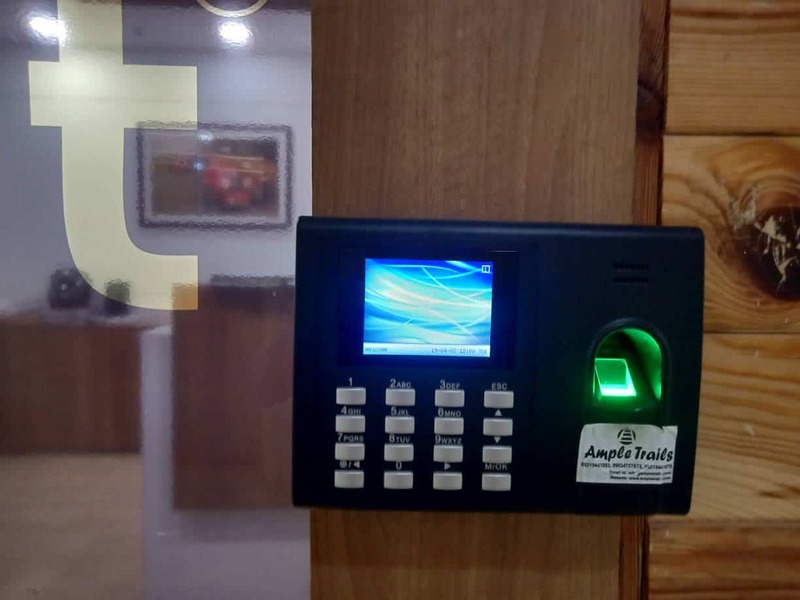 Easy to use, an ideal device for small and medium enterprises.Attendance machines help in automation of attendance of the employees and can help in tracking the in and out time of employees total work duration, lunch breaks. 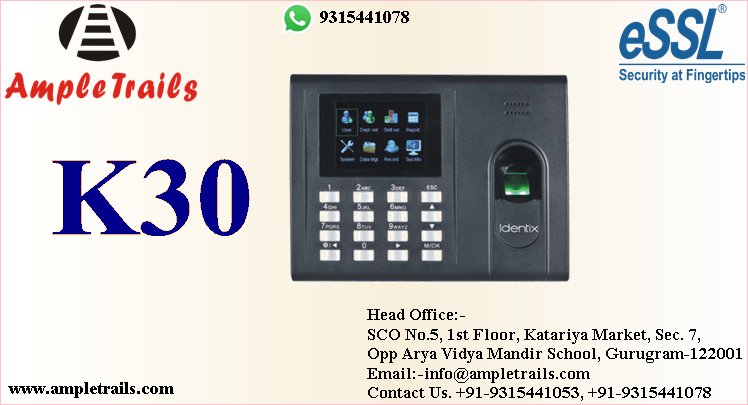 Want to know the price of attendance machine? Get the highest quality product for the lowest price. Please contact us now at 9315441078 WhatsApp 9315441053, 9818390836 or write us at info@ampletrails.com to its price. 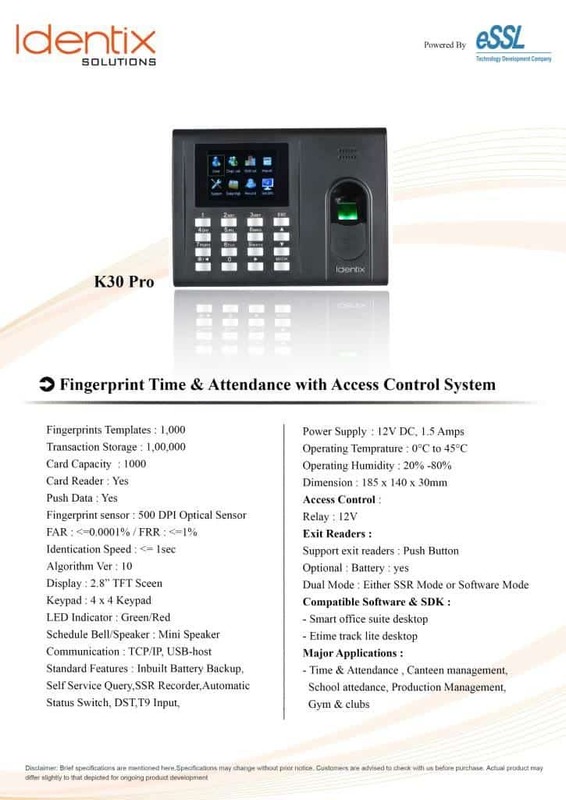 Biometric Time Attendance Machine eSSL K30 Identix. 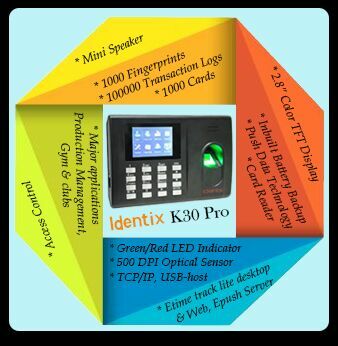 We are offering Biometric Machine that provide the most accurate data collection solutions available. 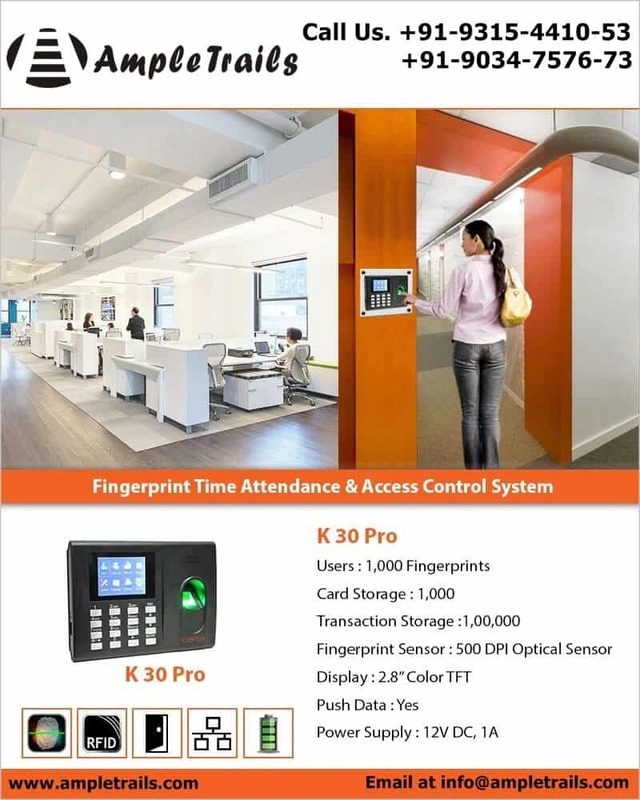 AmpleTrails is offering eSSL K30 Pro Identix Biometric Access Control System, Essl Attendance Machine. You can get data directly on your server from anywhere. 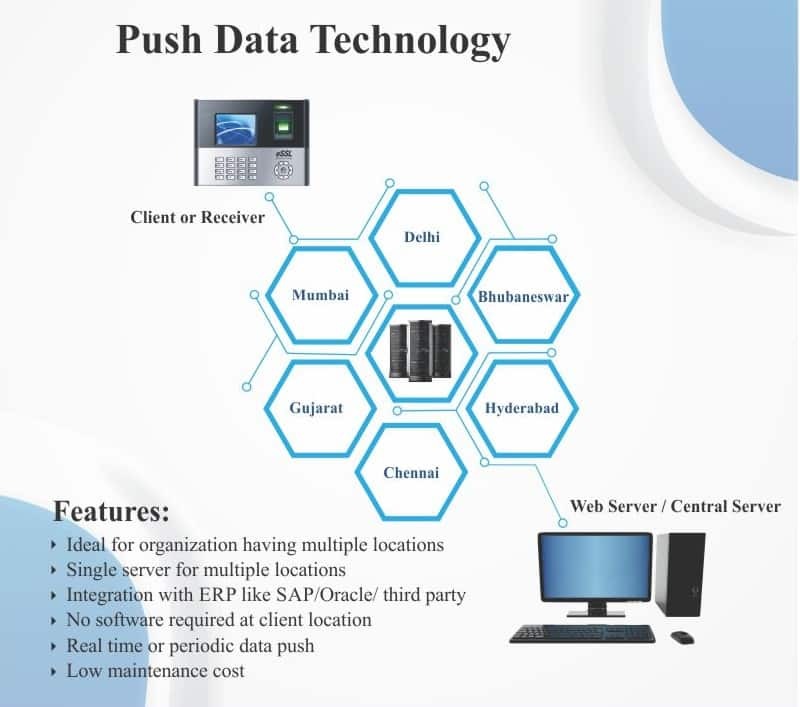 Free web-based software for centralized data capture. New Firmware and lots more get the machine now for your organization. DST– Daylight Saving time used when device and server are in different time zone. eSSL Identix K30 also available at special price. Contact us now for the bulk orders. For Bulk, discount contacts us now. Below is the Fingerprint Time Attendance Machine Specifications. Our all eSSL devices will support eTimeTracklite software. 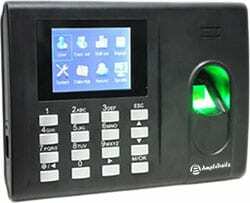 Get the best quality time attendance machine at the lowest price in the market. 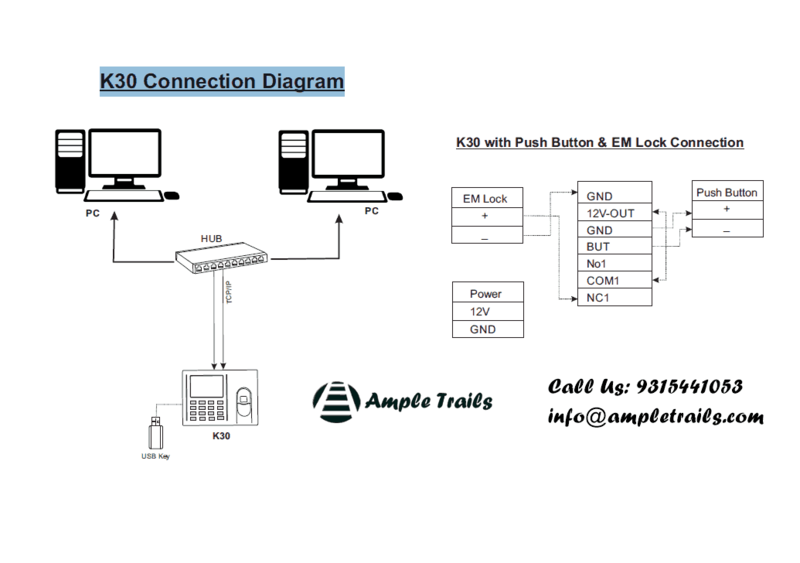 Email us at info@ampletrails.com or call us at 9315441053 for pricing and installation of this machine.